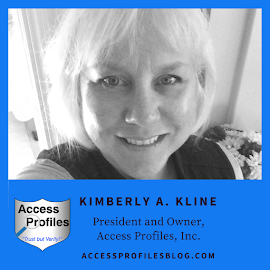 Access Profiles, Inc.: Don’t Roll the Dice! Why You Need to “Ban the Box” Now! Don’t Roll the Dice! 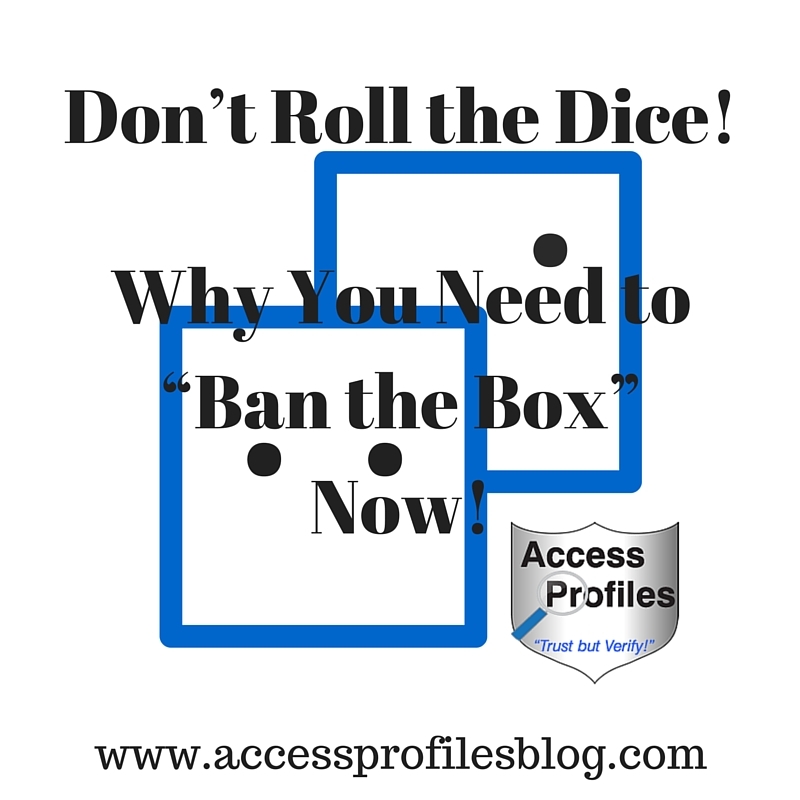 Why You Need to “Ban the Box” Now! Despite the continuing wave of states and cities adopting “Ban the Box” legislation, there are still companies who have not taken action. They continue to use applications that contain “the box” or ask whether their applicants have a criminal record early in the hiring process. Now is the time to take action. Assess your applications, both physical and online, to see if they include any questions about prior criminal records. You also need to make sure they comply with any state and local laws where you do business. Include in Your Application a Warning that if they Lie in answer to either of these questions they will be eliminated from your list of potential hires. As a business owner, it is completely understandable that you want to have as much information as possible on your potential hires ~ and that includes whether or not they have a criminal history. What is important to remember is that these “ban the box” laws only apply early on in the hiring process. They do not prevent you from asking about your applicant’s criminal history after the interview or a conditional offer of employment has been made. You can find out more about “Ban the Box” and how it impacts your hiring process in my article “Background Checks & “Ban the Box” - The Pendulum Swings”! Despite some states that are “Taking ‘Ban the Box’ to Far” (find out more here), removing the “box” from your applications and not asking about a criminal history too early in the process still makes sense! Even the EEOC has weighed in on “Ban the Box”. They recommend that you not ask about criminal history on your applications as “Best Practice”. The EEOC even goes further in advising that when you do ask, it is only when that criminal history is relevant to the job you are filling. You also need to realize that by not banning the box, you are opening yourself up to legal risks. Employers with 10 or fewer employees ~ penalties up to $100/violation, not to exceed $100/month. Employers with 11-20 employees ~ penalties up to $500/violation, not to exceed $5oo/month. Employers with 20+ employees ~ penalties up to $500/violation, not to exceed $2,000/month. The city of Baltimore has taken it even further. Their law allows for misdemeanor criminal charges and a fine to be filed against employers who are guilty of violations. The fine cannot exceed $500 or include imprisonment for more than 90 days, or both, for each offense. However, the real risk to you, the employer, is a discrimination suit claiming you are using your applicant’s criminal history as a way to discriminate. And that can start with continuing to use “the box” on your applications! My advice? Why take the gamble and put yourself in the danger of being noticed by the EEOC? As a best practice, you should act now and remove any question involving criminal history from your applications. Being proactive and voluntarily complying before any allegations are made is good for you and your company. Remember, any time you can take measures to stay below the radar of the EEOC, it makes good business sense! (You can find out more about Flying Under the EEOC Radar here). DON’T: Include questions about criminal history on your job application. DO: Review and Revise your employment applications. Remove any questions you find concerning criminal history and make sure only the new version is used both on paper and online. 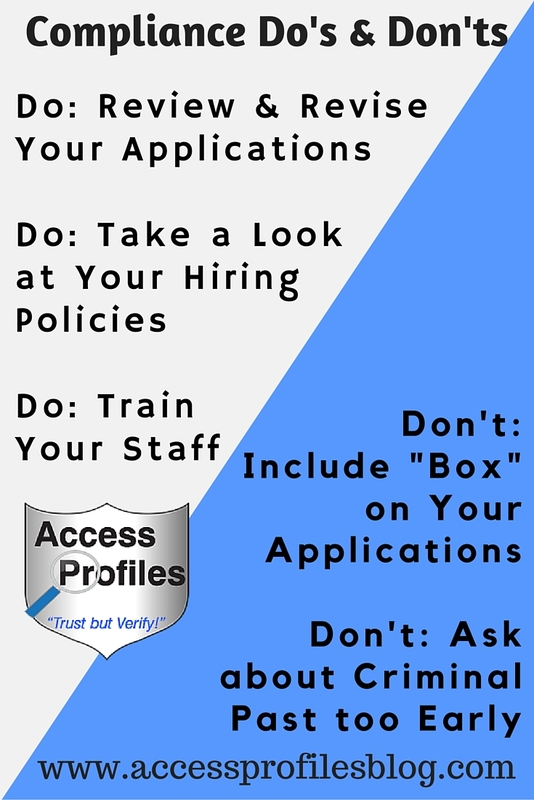 DON’T: Ask Your Applicants to Self-Disclose their Criminal History early in the hiring process. DO: Take a look at Your Hiring Policies. Make sure you are delaying any questions concerning prior criminal convictions or any criminal background check until after the interview or a conditional offer of employment has been made. DO: Train everyone involved in your hiring process in following your new guidelines. Keeping up with these ever changing laws can be challenging. 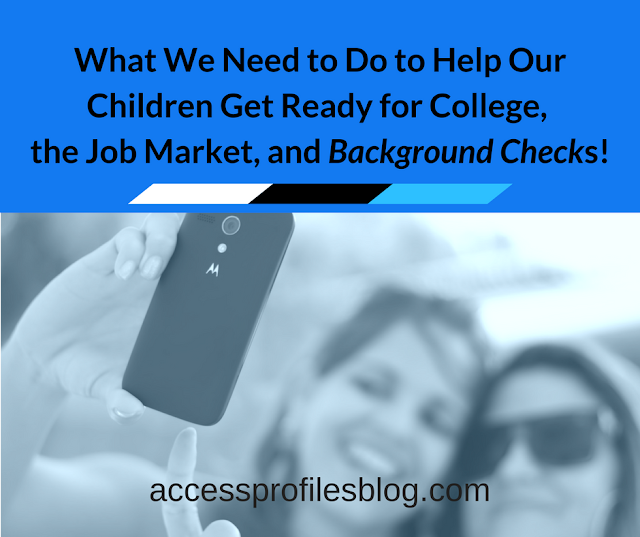 A good background check company can help! Contact me and I will help you navigate the world of hiring and background checks! In the meantime, it makes sense to do what you can now ~ and eliminating the “box” from your applications is an easy first step! Don’t continue to Roll the Dice! Please Share this and leave a comment. I would love to hear your thoughts! Thanks! For more tips on Hiring and how to make sure your Small Business compliant, visit my Website! I can guide you in creating good hiring policies. And to learn more about What I Do and Why, check out my Services and About pages! Let’s Connect! Contact Me to find link to my Facebook, LinkedIn, Twitter profiles and more!